Welcome to the Toronto Markham hotel specializing in extended stays by providing all the comforts of home in a warm, inviting atmosphere. Our spacious suites offer separate living and sleeping areas, plenty of space for relaxing or working. Each suite has a fully equipped kitchen with full-size refrigerator, microwave, stove top, pots & pans, utensils-everything you need to make a home-cooked meal. 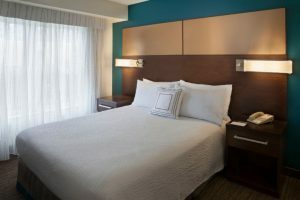 All suites in this Marriott Toronto Markham extended stay hotel have a large work desk and FREE wireless internet access. Gatehouse with our complimentary hot buffet breakfast. Mon-Wed join us for our evening reception. Unwind in our Indoor Pool, Whirlpool Spa, Fitness Centre or outdoor Sport Court®. When dining out you’ll find delicious dining options as well as shopping and entertainment nearby. Our Meeting Room is perfect for small gatherings. 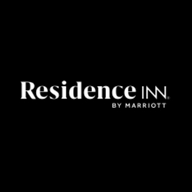 One of the friendliest of Toronto Markham hotels, we are in close proximity to Civic Centre and Pan Am Centre. Homelike comfort awaits you. PET friendly.